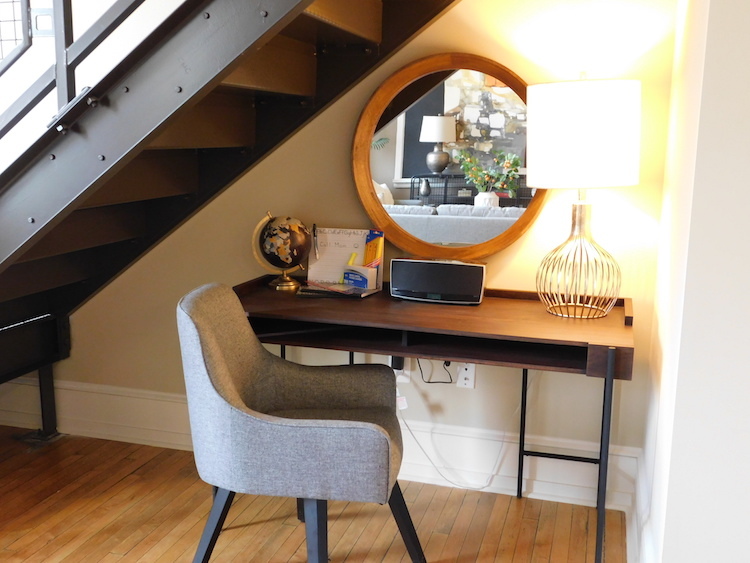 Office nook in one-bedroom loft at Schenley Apartments. All photos by Sandra Tolliver. 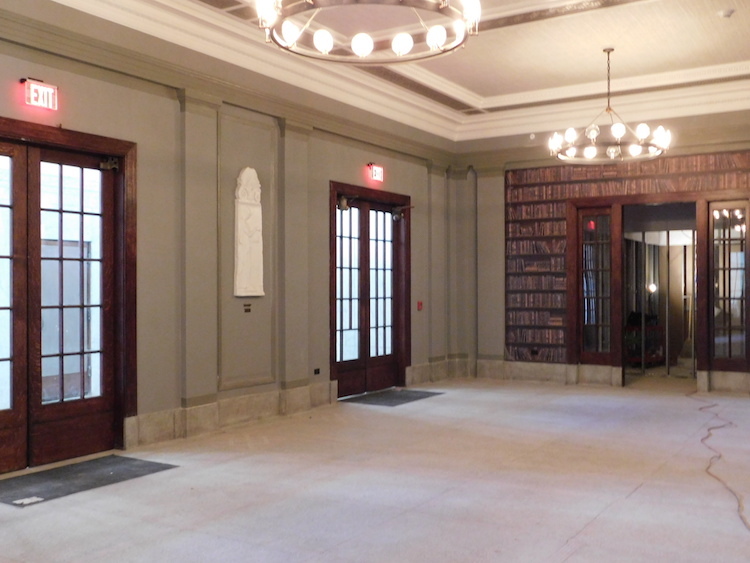 Inside the grey limestone walls of the massive Schenley Apartments in North Oakland, the broad windows, terrazzo floors and oak interior doors lining the long hallways stir memories of the building’s 92 years as a beloved city high school. The auditorium with its bright blue chairs remains almost as it was when Schenley High School closed its doors in 2008 for maintenance reasons in what was a highly controversial decision. 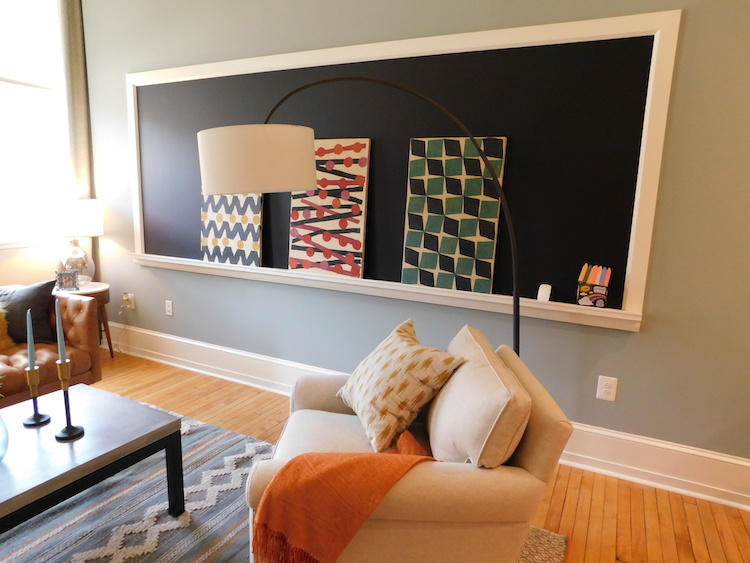 The 180 classrooms-turned-living quarters will keep their chalkboards and original wood floors. 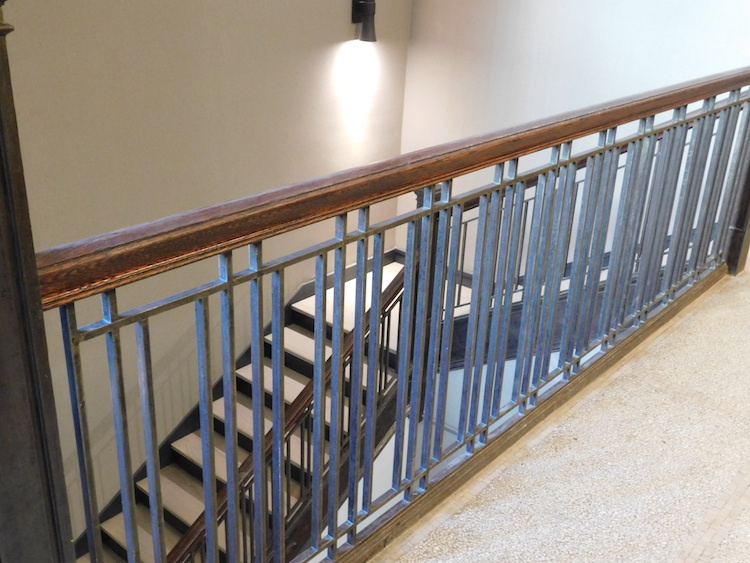 With guidance from the National Park Service, Philadelphia-based PMC Property Group has preserved these details and more in its renovation of the historic school. 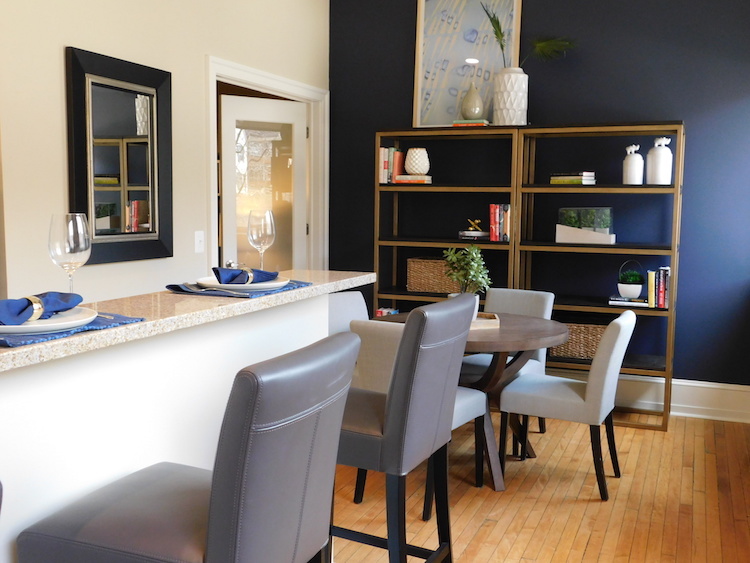 Four years after purchasing Schenley, PMC has begun leasing loft, one- and two-bedroom apartments for occupancy in early July. 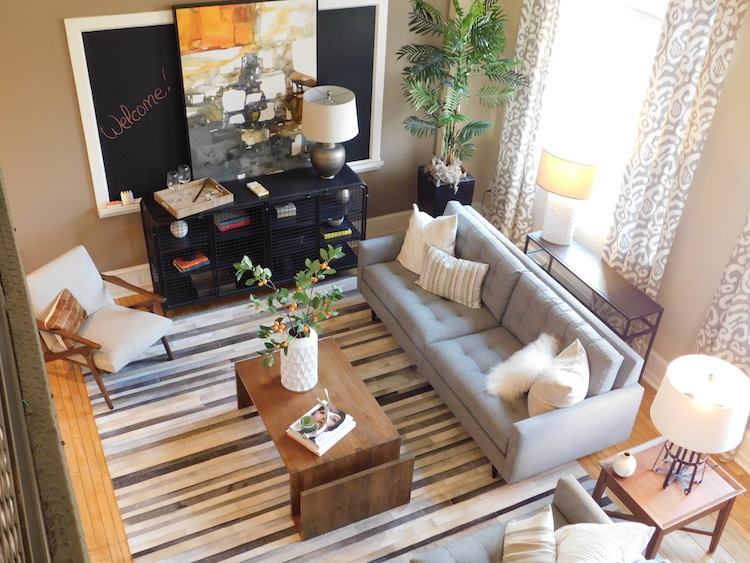 The buzz of power tools still echoes through the dusty corridors and construction materials litter most rooms, but decorator Kristin Fireman of Philadelphia has staged three models and is testing furniture groupings, area rugs and lighting for common areas and hallways. 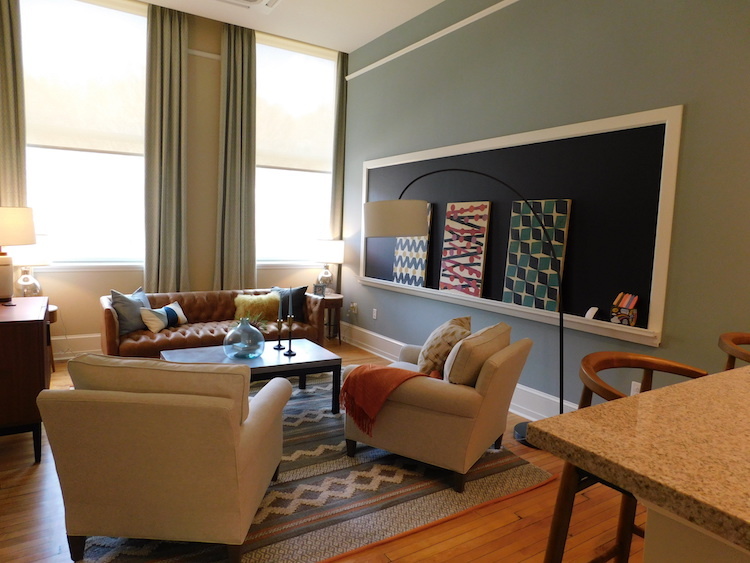 Loft living room at Schenley Apartments. 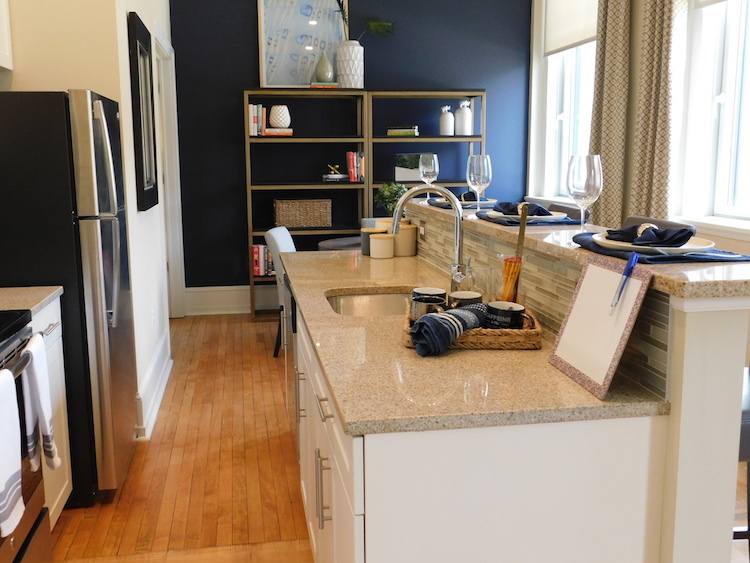 “We’ve always looked for unique opportunities and we’ve found a lot of unique opportunities in Pittsburgh,” says Louise Giordano, senior vice president of PMC, which has seven other apartment complexes here, including The Residences at the Historic Alcoa Building, Downtown. As work progresses at Schenley, she’s pleased with the outcome. “To watch these projects come together is pretty cool. It’s my favorite part of my job,” she says. 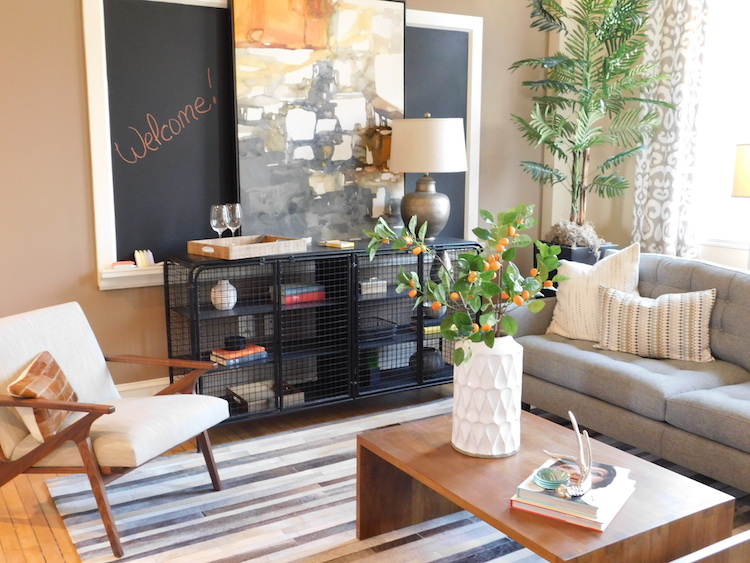 “We expect this to be really well-received in this neighborhood. There hasn’t been new product in this area other than SkyVue,” a Georgia developer’s 389-unit building on the Forbes Avenue site that once housed the Allegheny County Health Department. 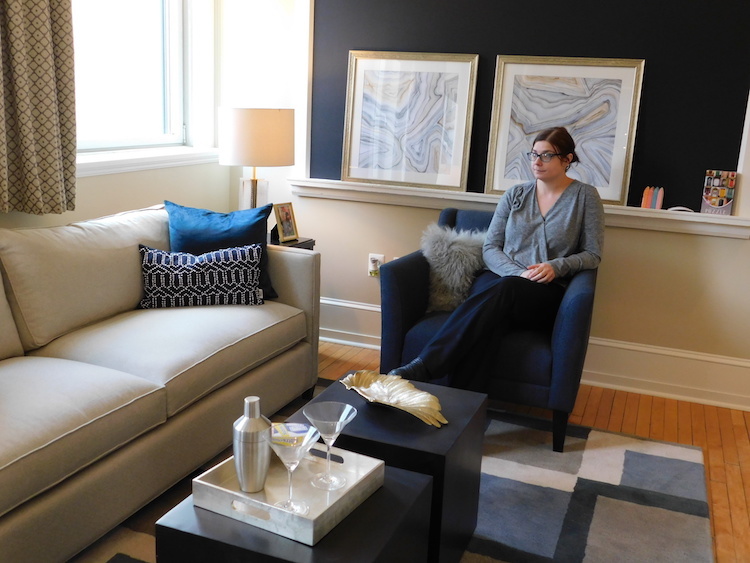 Even before ads for the apartments were posted online, Giordano offered a few tours to curious passersby who showed up on Schenley’s doorstep. 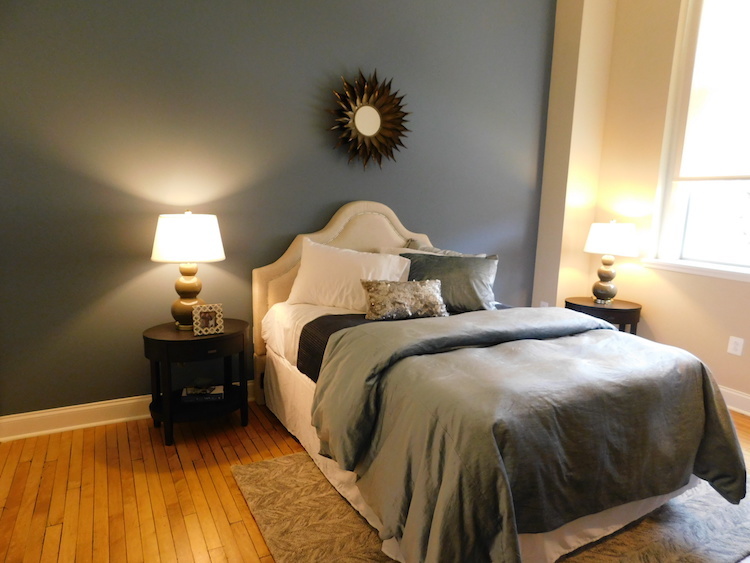 The rentals will start at $1,295, $1,395 and $1,995, depending on the number of bedrooms, bathrooms and windows. Two large, curved apartments at either end of the building, with private entrances and balconies, will cost $3,500 a month. Curved corners of building which will become luxury units. PMC is investing at least $28 million into Schenley, including construction of an underground garage where the pool used to be—there are 140 parking spaces with the garage and a rear surface lot. Three elevators will provide access for people with disabilities. 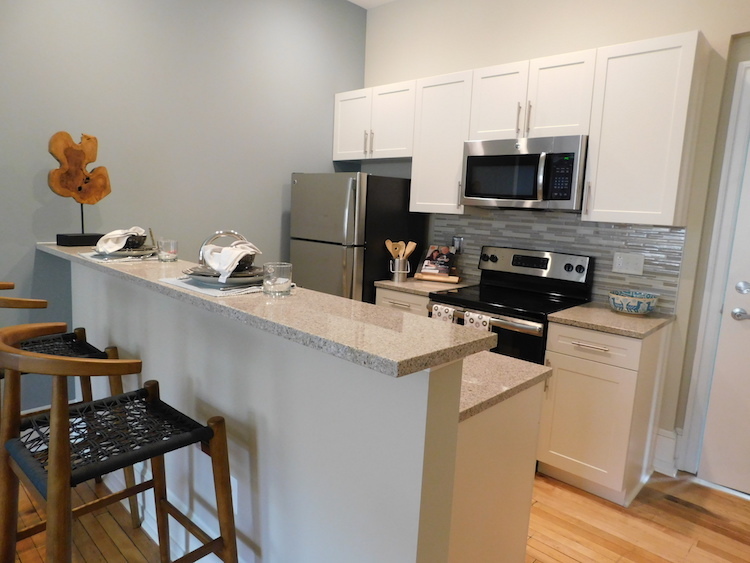 The apartments are pet-friendly; each has granite countertops, stainless steel appliances, a breakfast bar and stackable washer-dryer. Tall windows deliver natural light and amazing city views. Giordano won’t say what PMC spent to mitigate asbestos in the deteriorating plaster that contributed to the Pittsburgh school board’s unpopular decision to close Schenley. But there was “a substantial amount of abatement,” says Sean Beasley, principal at Strada Architecture LLC, which did permit and construction drawings for PMC and helped to secure neighborhood and city approvals for the project. 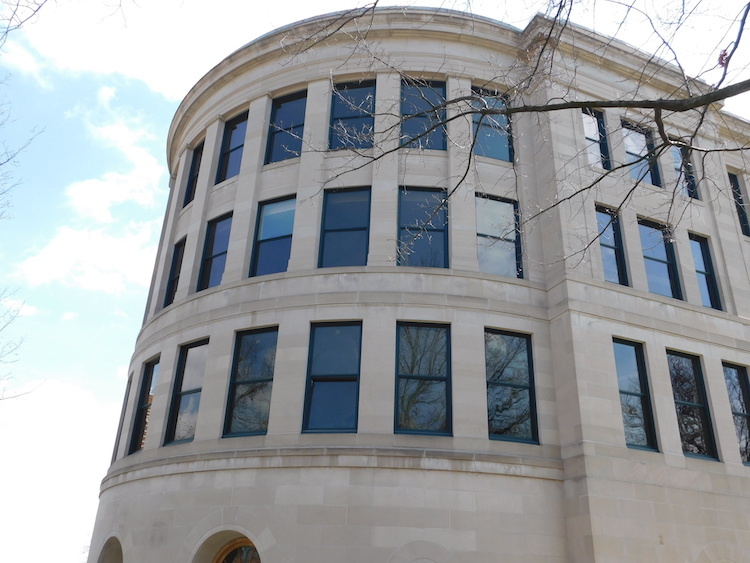 One of the architectural designers who worked on the project is I-Shan Tam, a 2006 graduate of Schenley High School. During a visit to the school, she came upon a mural that she had worked on with a group of English language learners, Strada notes in a summary of the project on its website. When it opened in 1916, the triangular building designed by Edward Stotz was considered state-of-the-art, built with quality materials and equipped with science rooms, an art department, a conservatory and swimming pool. At its center, the auditorium across from the lobby could seat 1,600. It’s destined to become a movie theater for residents, says Giordano. 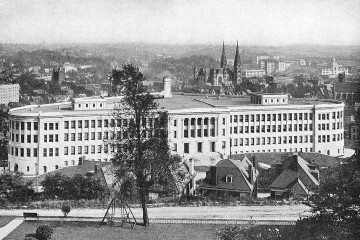 With the slope of the land from Schenley’s main entrance on Bigelow Boulevard, the building’s levels increase from three to five. 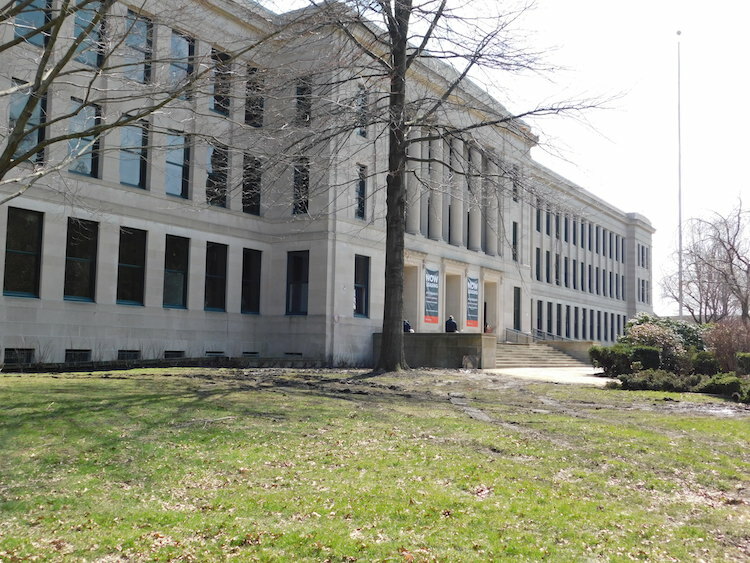 Its listing on the National Register of Historic Places enabled PMC to use historic tax credits as part of its financing package but limited changes the architects could make. 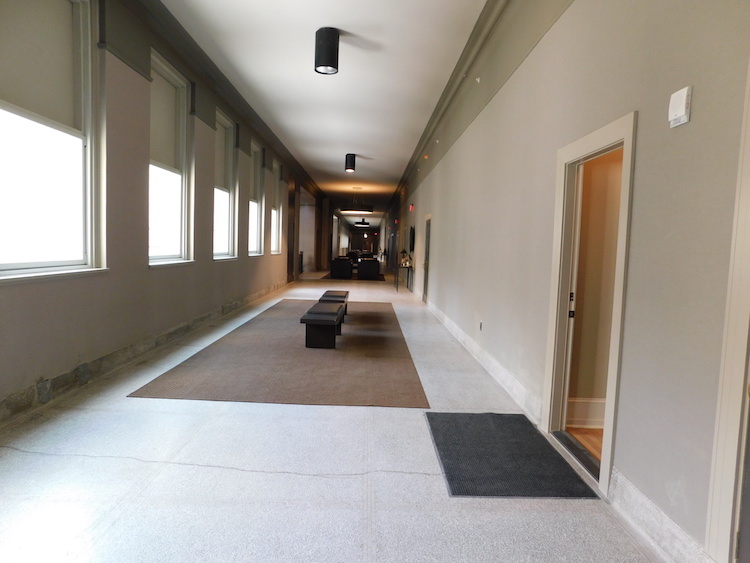 Long hallway at Schenley Apartments. That’s partly because the ramp went in an area where an old boiler room and mechanical rooms were and the building, designed as a naturally ventilating structure, also had large shafts. With the level changes, the garage ramp winds from lobby level to basement and down another half-level, “so three times you’re doing that while also circumventing a loop,” he says. The architects also needed to bring the entire building into compliance with the Americans with Disabilities Act and install new electrical and plumbing systems. Joe Ehman, who taught history at Schenley for nine years and was activities director, says it’s difficult to pinpoint what made the school so popular. Its student body had an interesting mix of kids, he says, and many graduates became famous—artist Andy Warhol; Nobel laureate Clifford Shull; jazz musicians George Benson, Walt Harper and Stanley Turrentine; Harvard Law School’s first black professor, Derrick Bell; and NFL and NBA stars. Schenley’s basketball team won five state championships over the years. “Like anything else, you remember the best parts of things. It was a dump, right? But it was a dump with potential,” says Ehman, now the International Baccalaureate diploma coordinator and a film teacher at Pittsburgh Obama in East Liberty. “I live in a Victorian house, and this was sort of like that—it’s beautiful, inefficient, but you looked at it and saw what it was and what it could be. And it was doing well. That’s why [closing Schenley] was so hard to swallow. Seating in the amenities room at Schenley Apartments. By the time Schenley sat vacant for five years, the school’s gym with its legendary basketball court had buckled badly. But crews salvaged wood from that floor—including some painted the red, black and white school colors—and pieced it together for Schenley Apartments’ new basketball half-court. 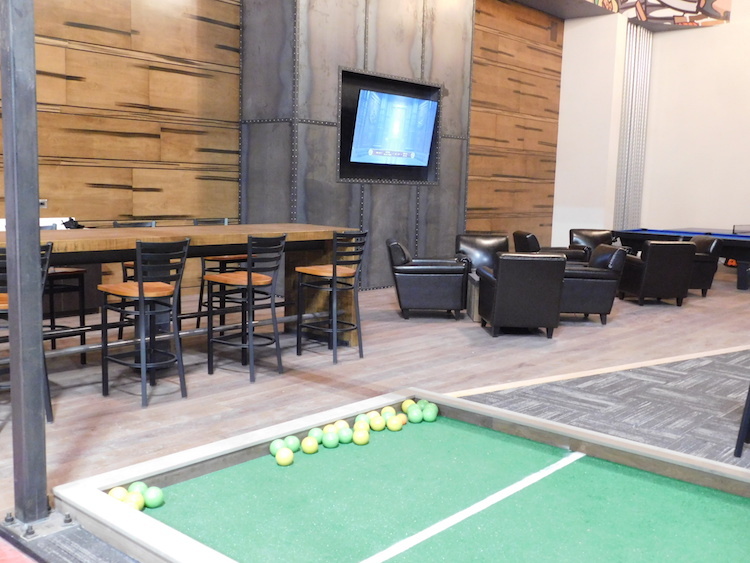 There’s also a bocce court, a fitness center and Peloton cycle studio, billiards, ping pong, and a lounge in the amenities area. 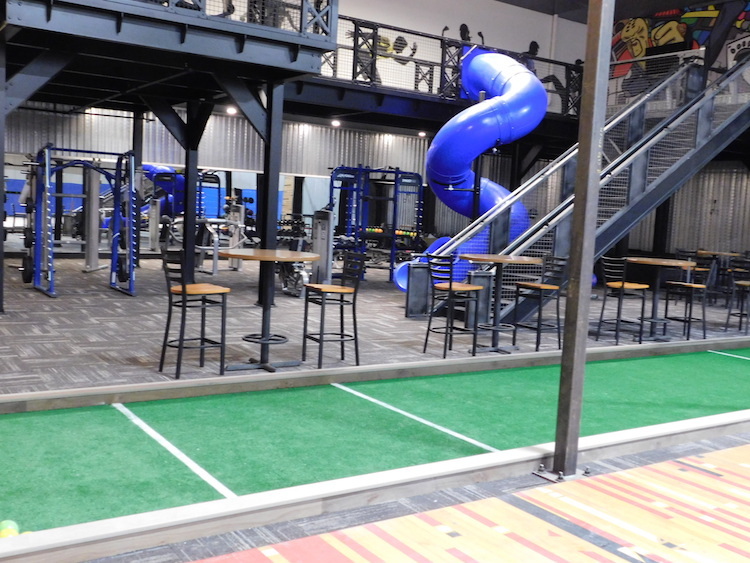 PMC includes similar amenities at other buildings it has adapted for reuse, says Giordano.